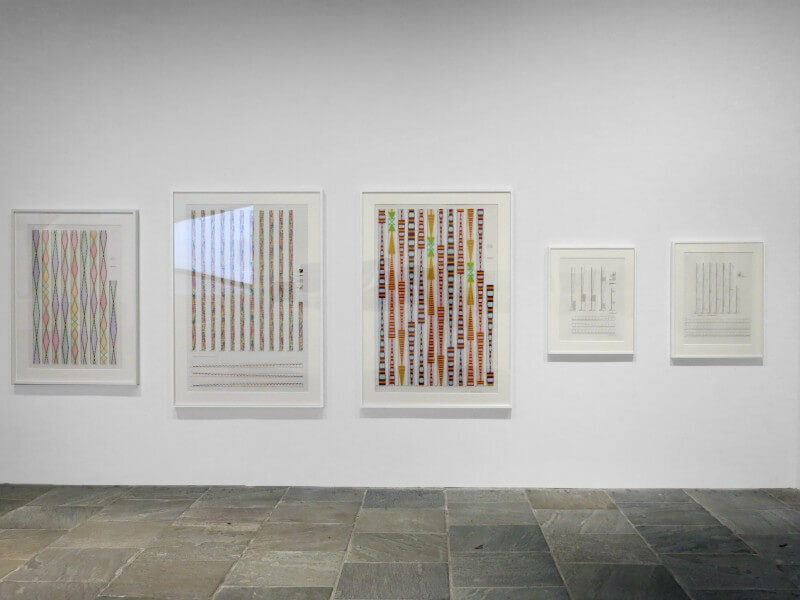 Channa Horwitz, "8 Sets of Moires (Rhythm of Lines Sampler)", 1987. Plaka on mylar. 39.5 x 49 x 1.5 inches. 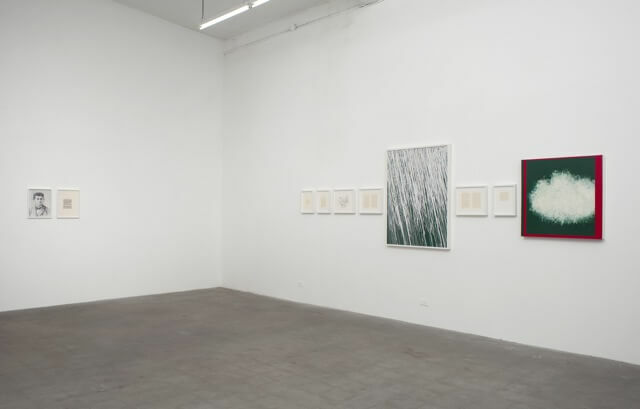 Ghebaly Gallery, Los Angeles. Channa Horwitz, "To The Top", 2016. 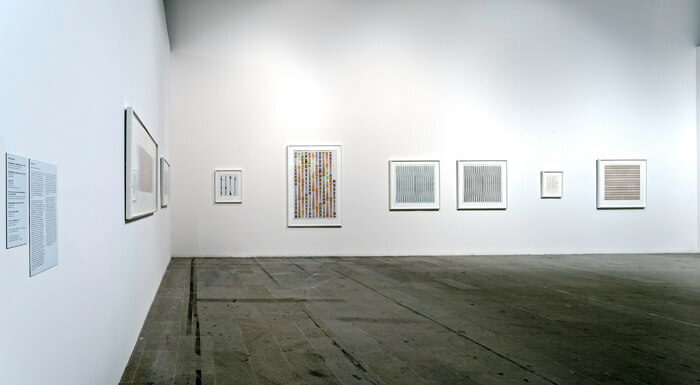 Installation View, Ghebaly Gallery, Los Angeles. Channa Horwitz, "8 Designs for Canon", 1982. Pencil and plaka on mylar. 15 x 20 inches. Ghebaly Gallery, Los Angeles. 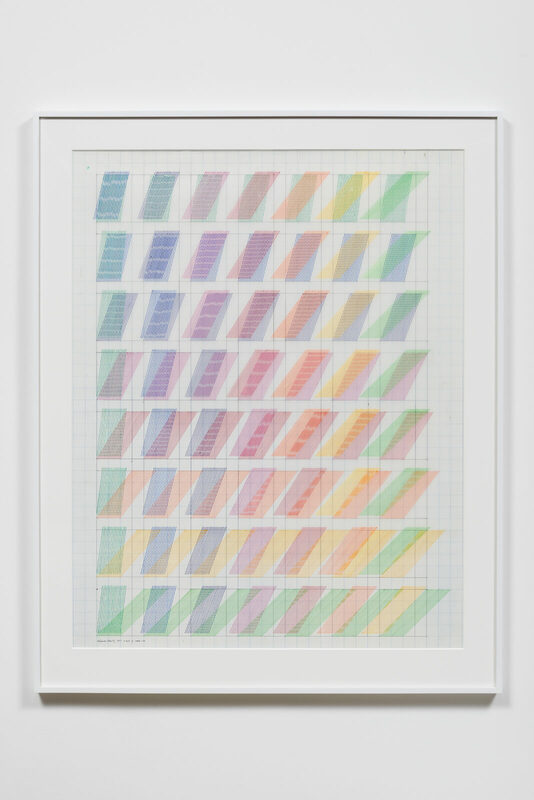 Channa Horwitz, "Counting in Eight, Moving By Color", 2015. 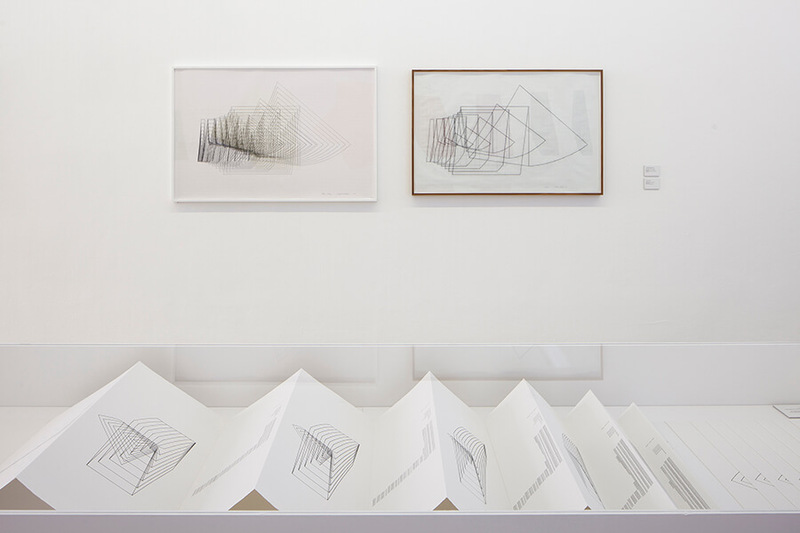 Installation view, Kunst-Werke Institute for Contemporary Art, Berlin. Channa Horwtiz, "Lines", 2014. 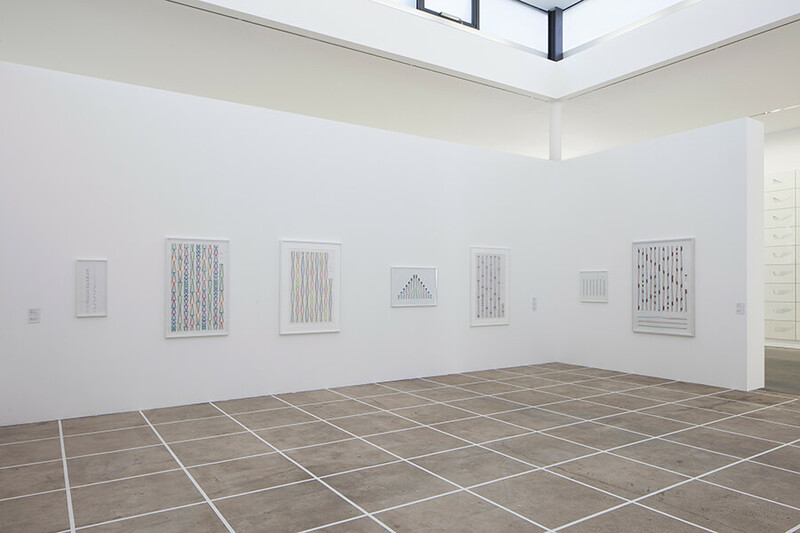 Installation View, Hauser & Wirth, Zurich. Curated by Rodrigo Moura. 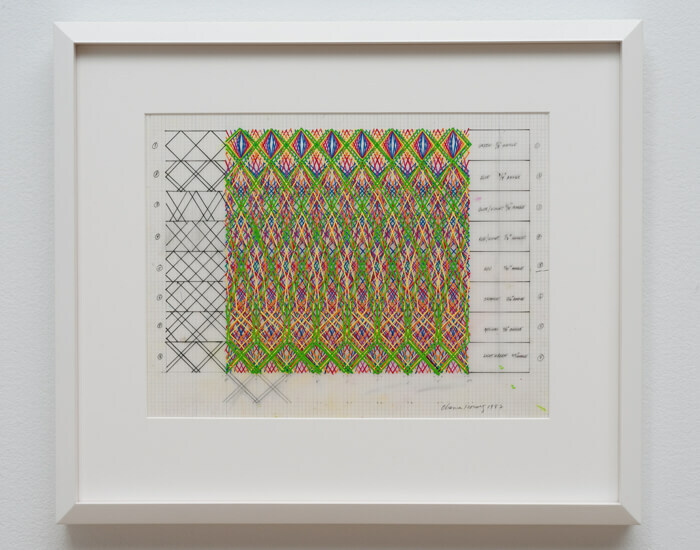 Channa Horwitz, 2014. 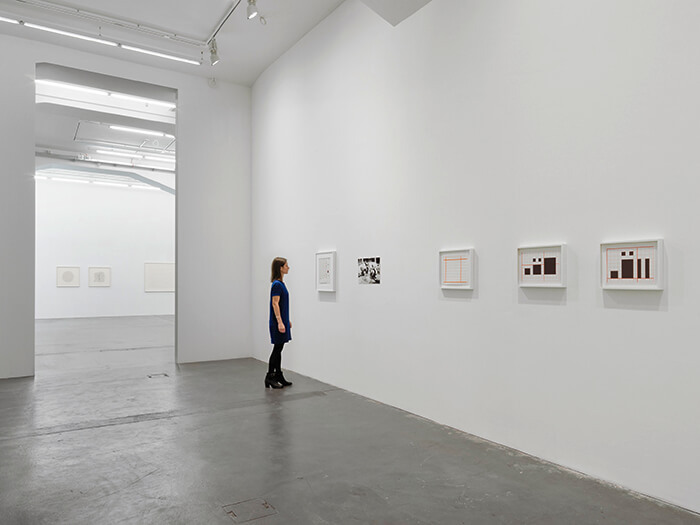 Installation view, Whitney Biennial, New York. 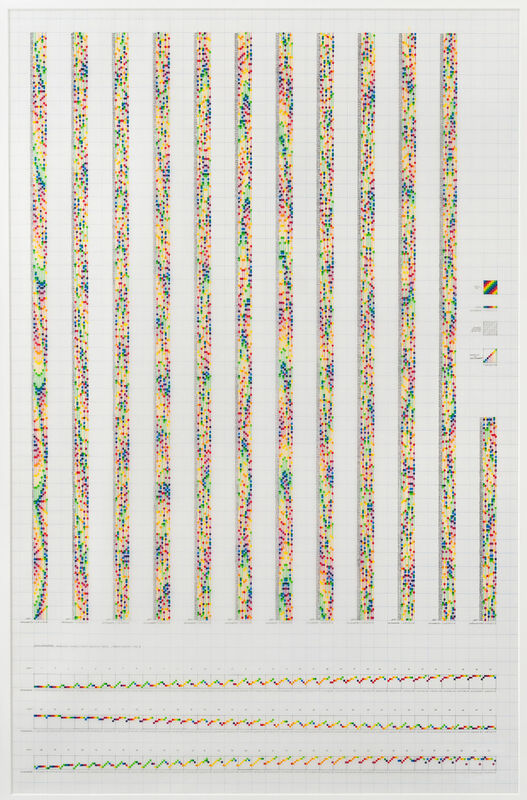 Channa Horwitz, "Sonakinatography Composition 12", 1987 - 2011. Ink on graph mylar. 25 x 20 inches. 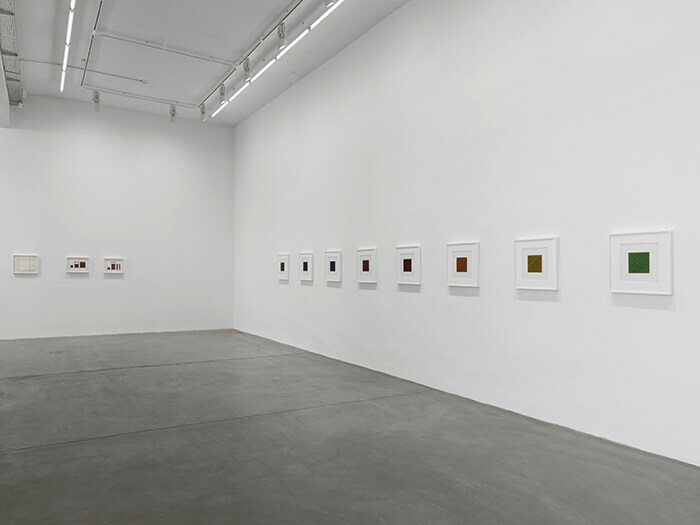 Whitney Biennial, 2014, New York. 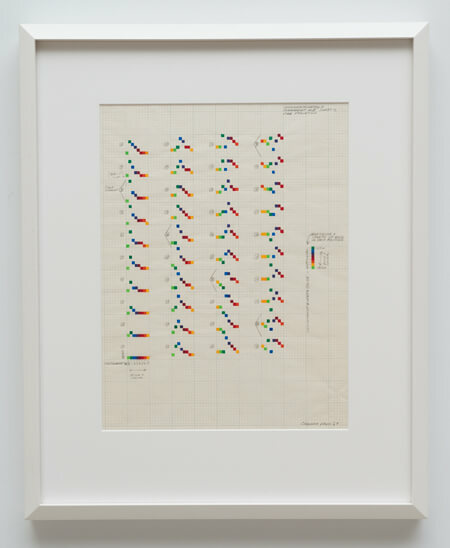 Channa Horwitz, "Sonakinatography Composition III Variation III", 1996. Casein, ink on mylar. 67 × 47 in. 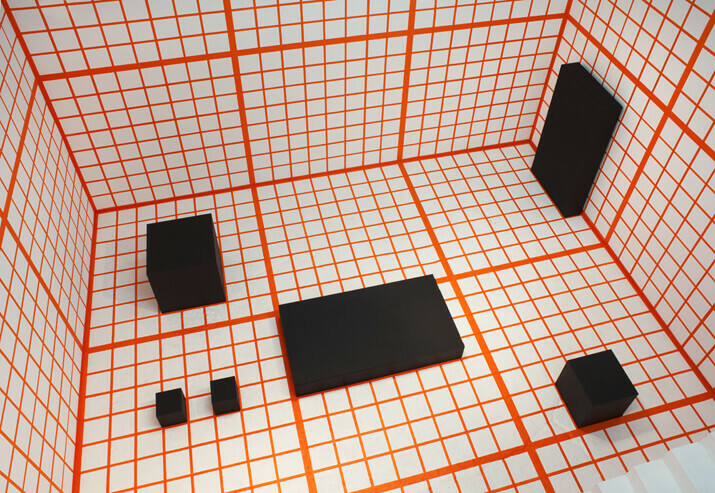 Whitney Biennial 2014, New York. 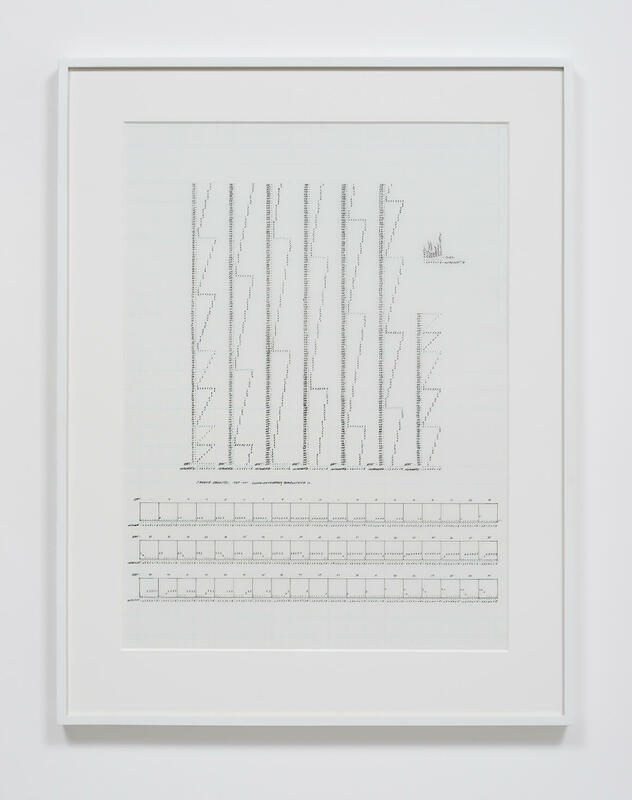 Channa Horwitz, "The Encyclopedic Palace", 2013. 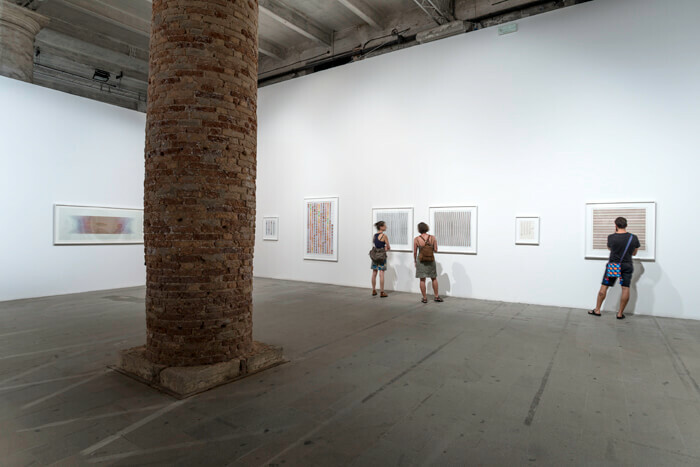 Installation view, Venice Biennale, Venice. 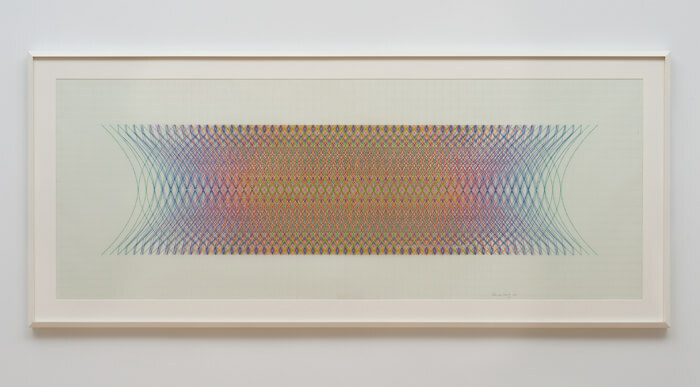 Channa Horwitz, "Sonakinatography I, Movement #II, Sheet C, 2nd Variation", 1969. Plaka and pencil on graph paper. 16 x 12 x 3 inches. 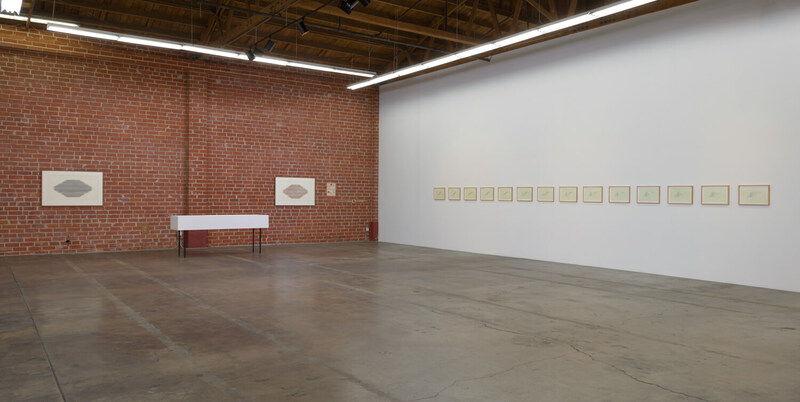 Ghebaly Gallery, Los Angeles. 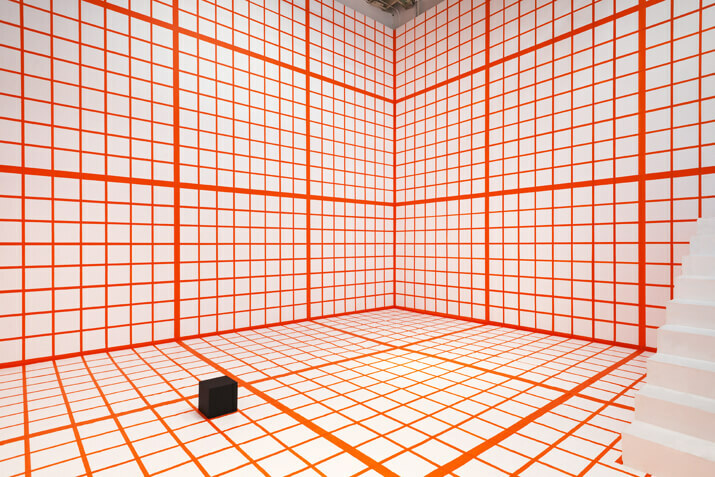 Channa Horwitz, "Orange Grid", 2013. 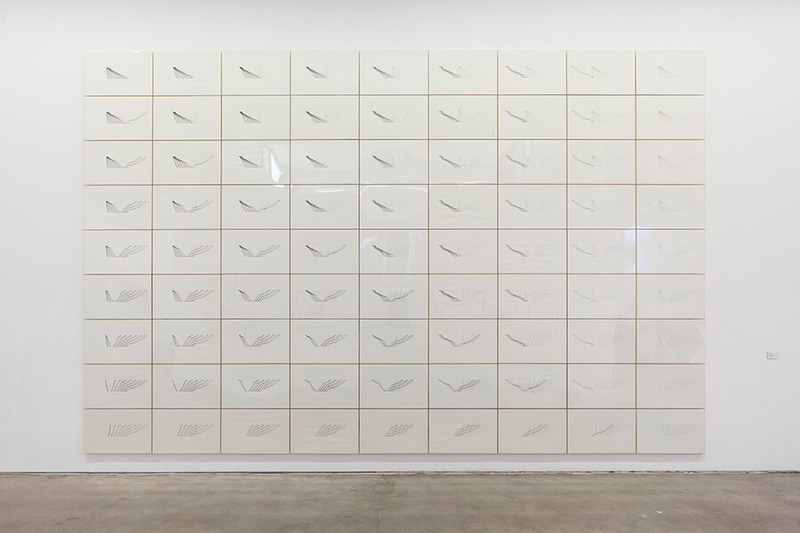 Installtion View, Ghebaly Gallery, Los Angeles. Channa Horwitz, "Made in L.A.", 2012. 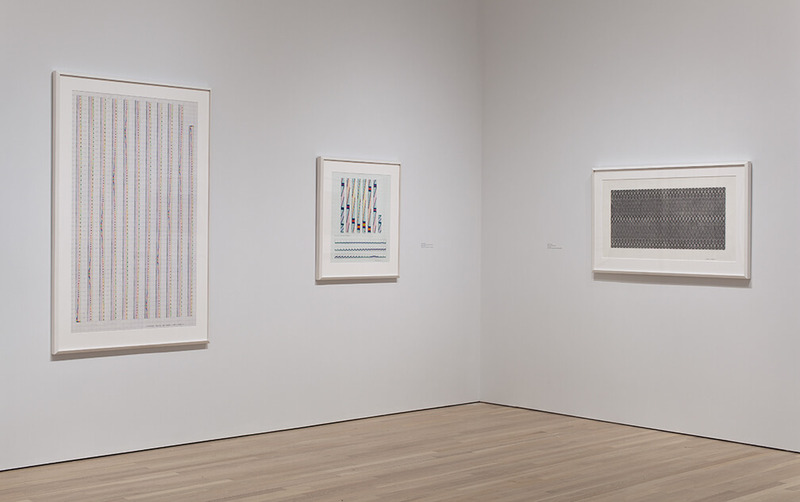 Installation view, Hammer Museum, Los Angeles. Channa Horwitz, "Canon", 1987. Plaka on Mylar. 36 x 78 feet. Hammer Museum, Los Angeles. 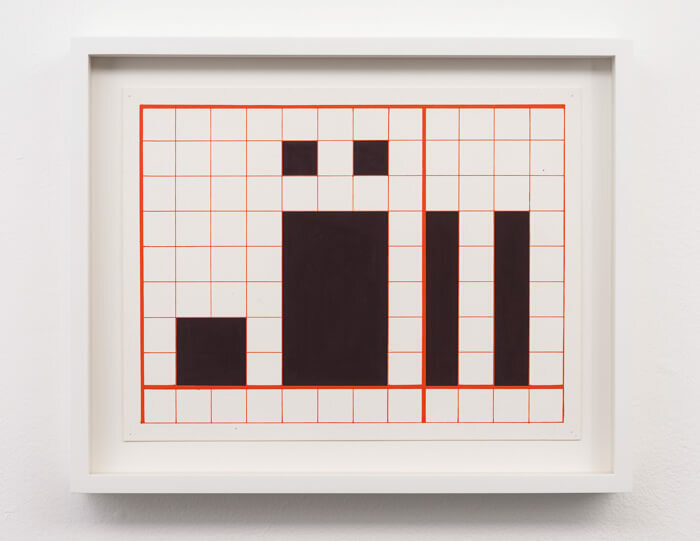 Channa Horwitz, "Language Series II 1-6-7", 2005. Plaka and casein on rag board. 12.75 x 15.75. 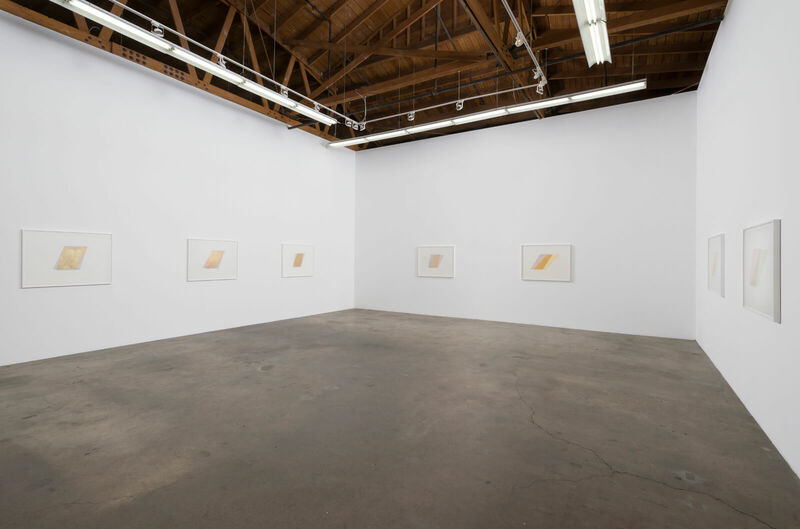 Ghebaly Gallery, Los Angeles.